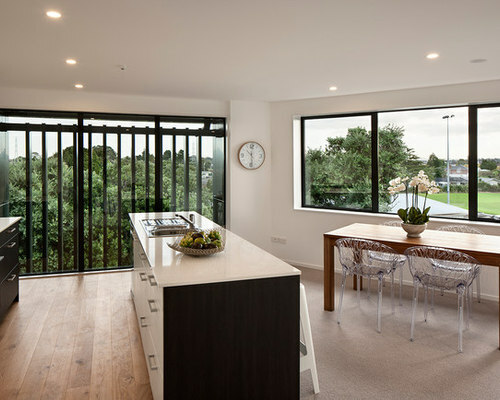 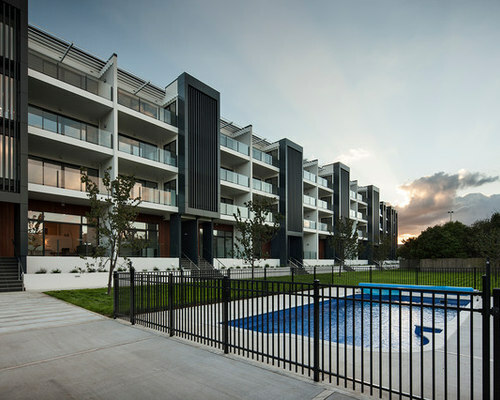 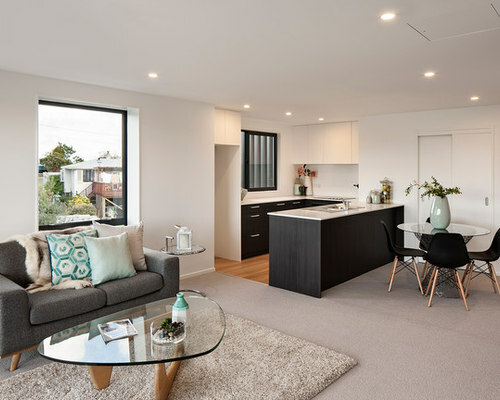 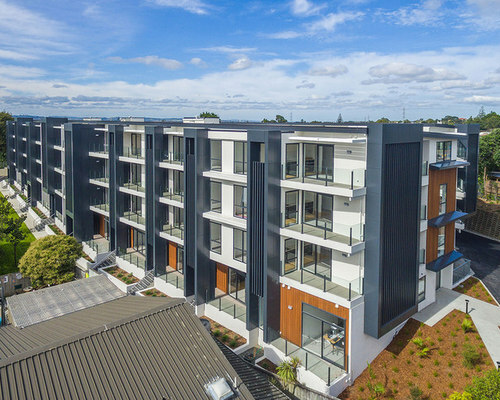 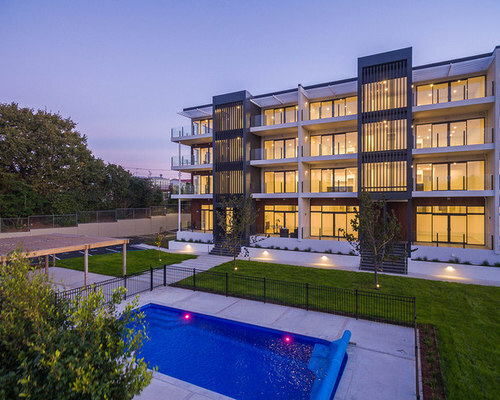 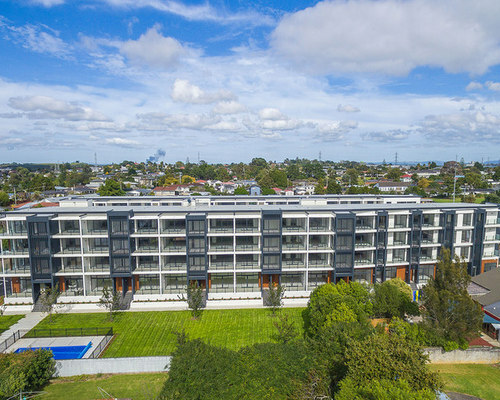 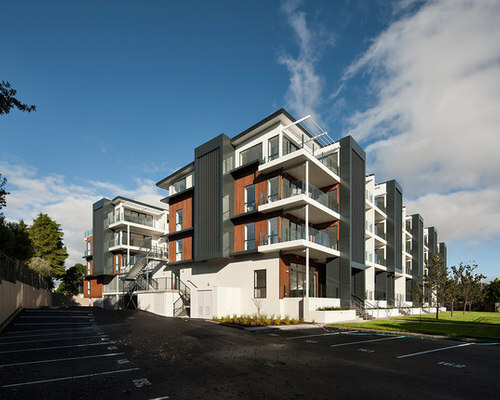 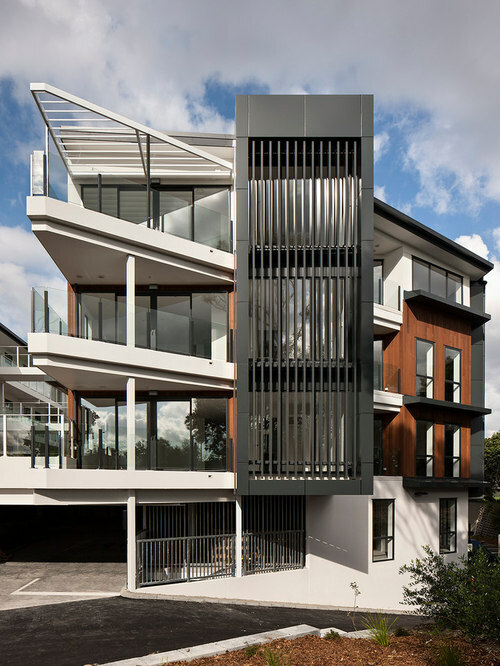 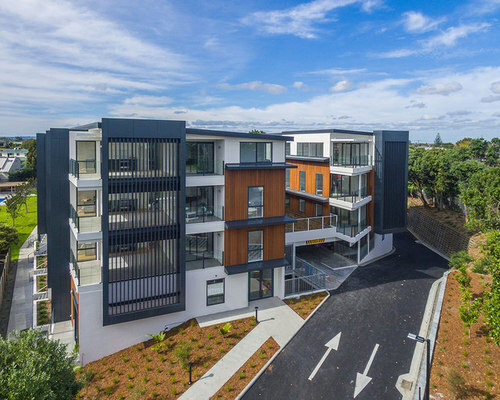 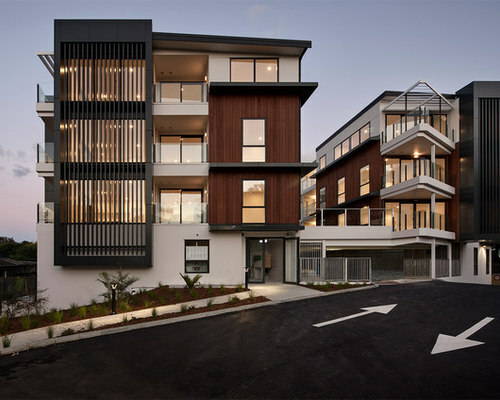 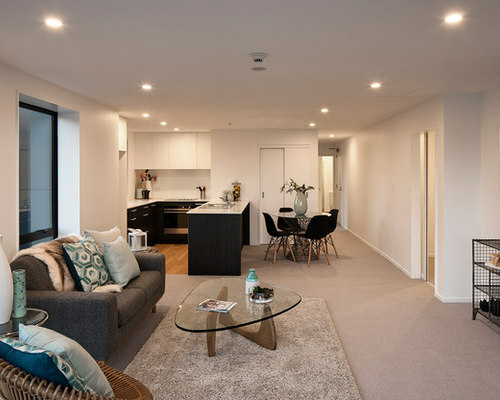 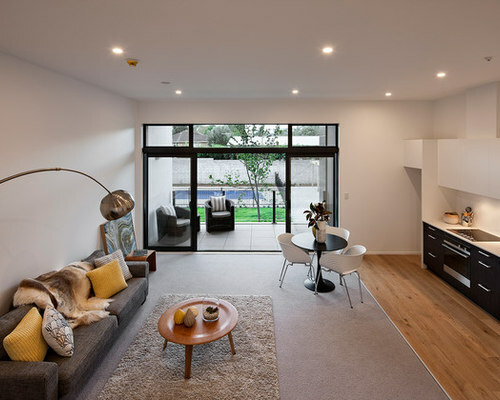 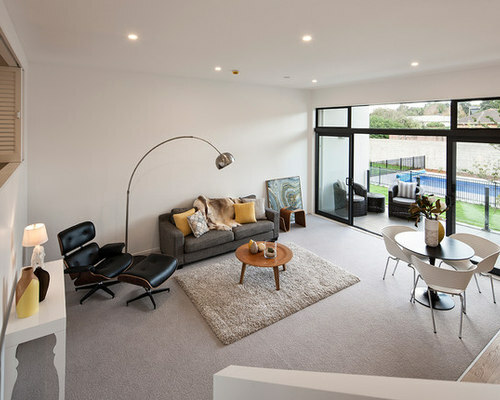 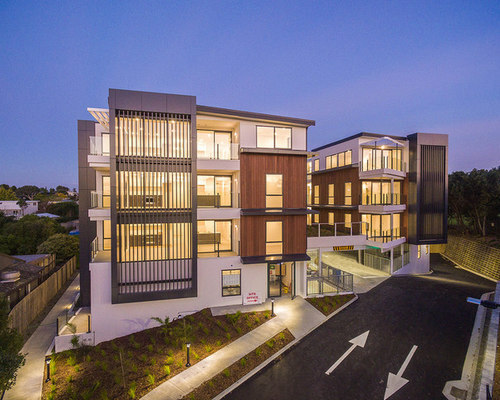 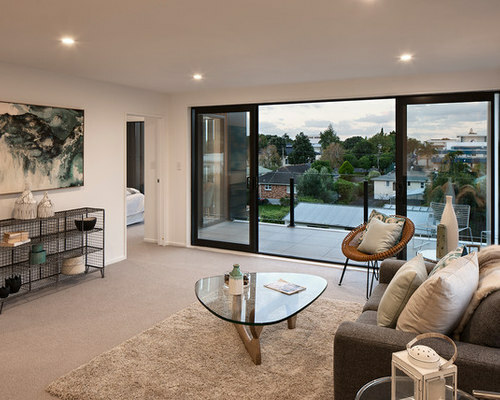 This development is located in the Auckland suburb of Mt Wellington, upon the site of an old Mercury Energy building. 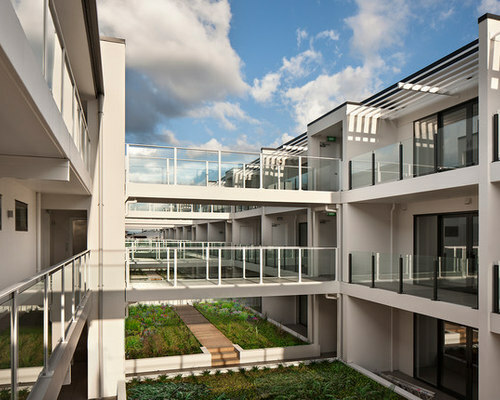 The objective is to create community spaces with generous zones for informal interaction in shared landscapes. 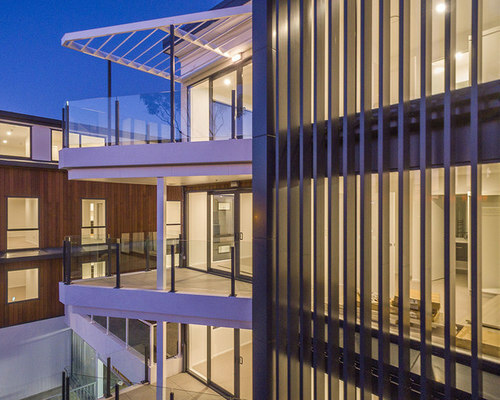 Unseen from the outside, the shared courtyard is the connecting link between lower and upper levels of the apartment. 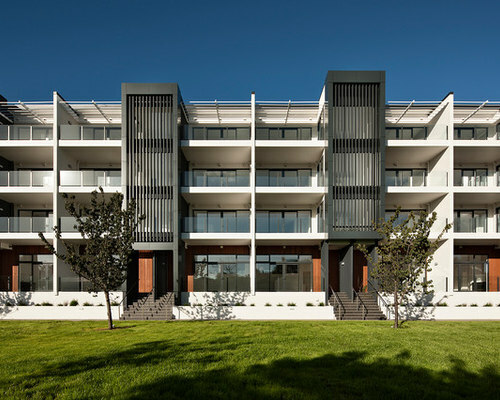 Located atop the existing concrete building structure, the common area features extensive planting, overlooked by secure gangways, considerably softening the interior spaces. 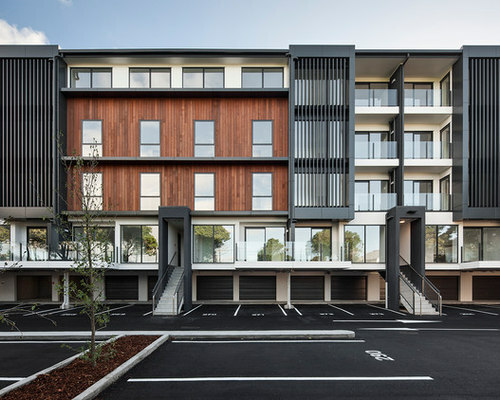 The exterior of the apartments incorporates a strongly defined entrance using the architectural language of repetition with dark louvres and vertical proportions breaking up the horizontal form of the building into smaller parts. 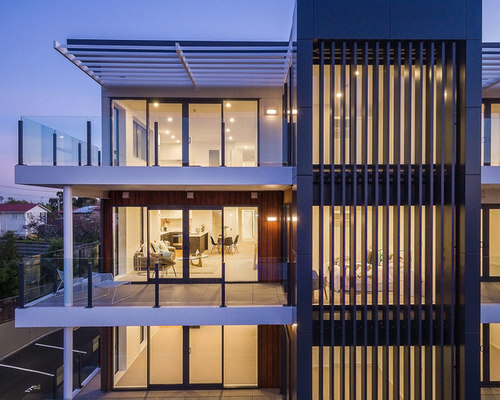 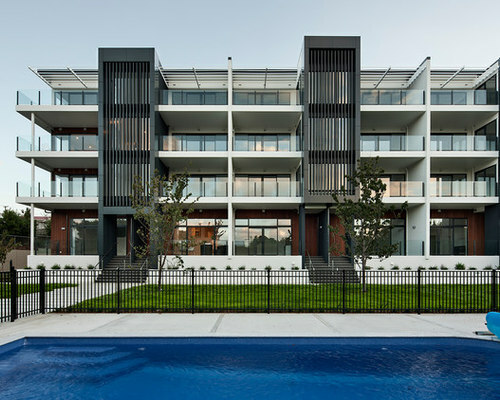 The contrast of the development in the suburban context is reduced through the use of materials: the roughness of precast concrete panels, clean lines of the vertical black aluminium screening, and soft cedar colours work together to moderate the scale of the development. 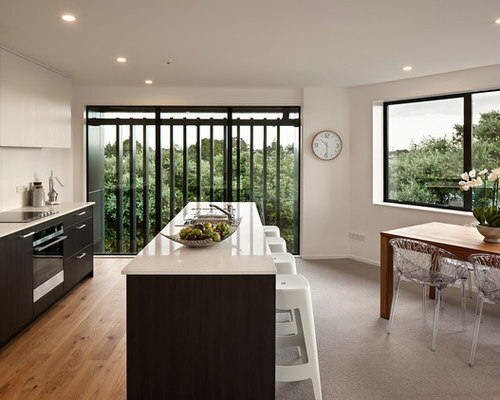 Units are designed for light, outlook and privacy. 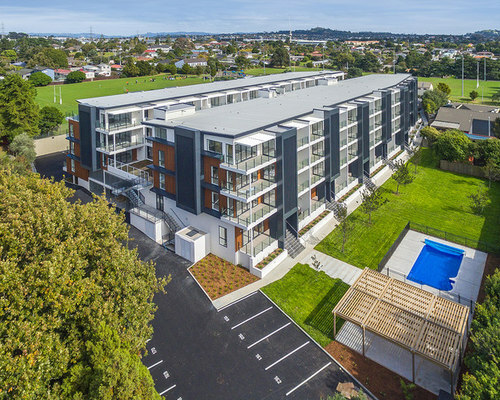 Mount Wellington and Auckland City is seen to the north and west, while south and western apartments enjoy views of Thompson Park and playground. 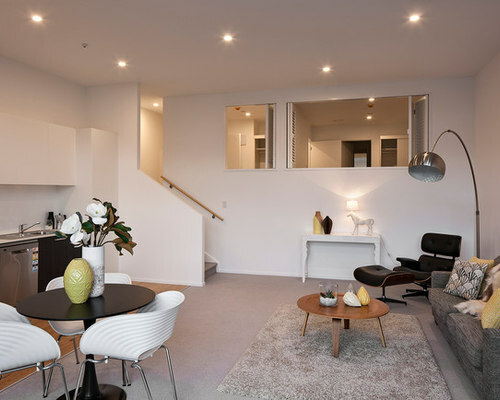 All the apartments are positioned and laid out in response to sun with large window openings to maximise views and natural light penetration into the apartments. 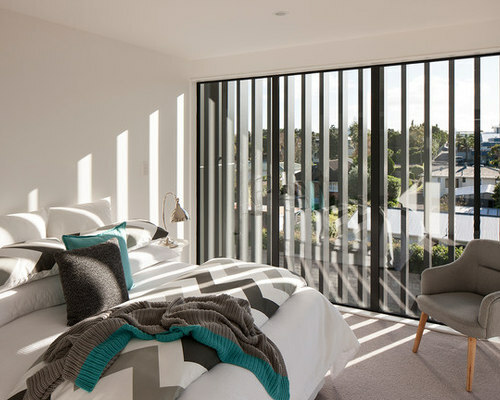 Master bedrooms are specifically designed to be protruding and behind external vertical screening that provides privacy and filtered light into the space.